Do you know there is more to Las Vegas than casinos, shows, and great food? Conveniently located in its vicinity are stunning natural sceneries, world-class paddling destinations, and a large number of Native American rock art sites. Whether you are a visitor or a resident, it is a great idea to take a break from the city to embrace the beauty of nature and appreciate the artwork of the ancient. This volume of the Adventures Beyond Las Vegas series introduces you to over 80 easy hikes, paddling trips, and roadside features in Valley of Fire State Park, Lake Mead National Recreation Area, Red Rock Canyon National Conservation Area, and Spring Mountains National Recreation Area. You’ll find photographic illustrations, detailed descriptions, and high-quality maps throughout the book. 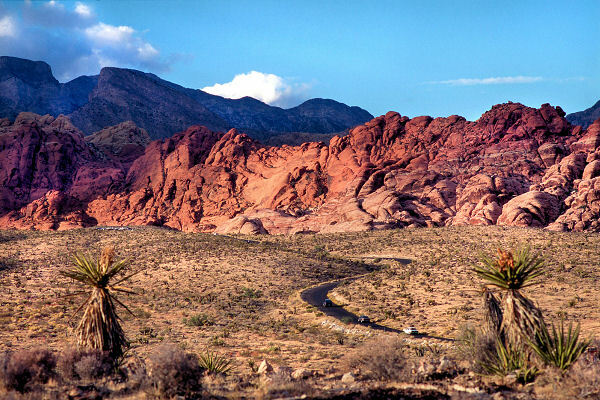 Make your Vegas trip perfect by supplementing it with excursions to nature and ancient artifacts!